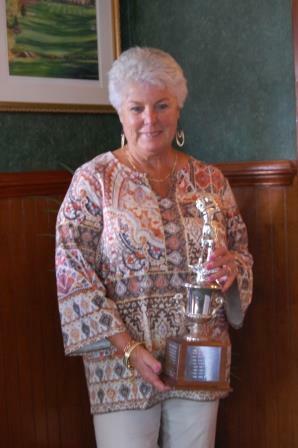 The Ocean Pines Ladies’ Golf Association held its Governors’ Cup championship on Tuesday, Sept. 12 at Ocean Pines Golf Club. The winner of this year’s net-score tournament was Deb Schwertner. Other flight winners included Diana Earhart, Light Henderson, Susan Morris, Frankie Gomsak and Joan Sarisky. 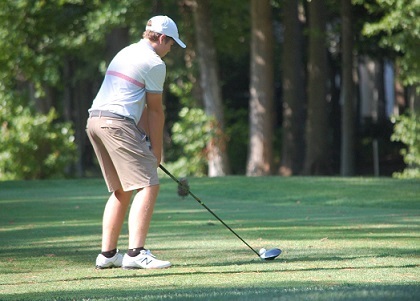 Record participation at the 33rd Annual Taylor Bank/Ocean Pines Junior Golf Scholarship Tournament, held on Aug. 16 at Ocean Pines Golf Club, will mean more money for junior golf programs and scholarships. The event, hosted by the Ocean Pines Golf Members’ Council, raises funds for scholarships and for junior golf programs at the course. 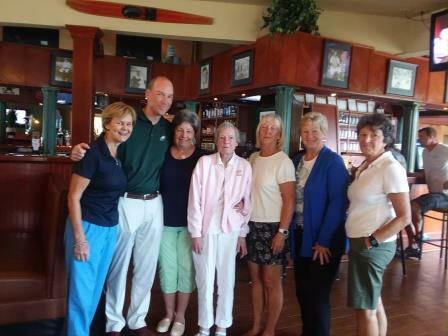 “With the help and support of all who contributed and played, the success of the tournament exceeded our expectations,” said Ocean Pines golf member and tournament chair Scotty Wheatley. More players in this year’s tournament, as well as increased participation from sponsors, will allow the Ocean Pines Golf Members’ Council to distribute more money to junior golf. 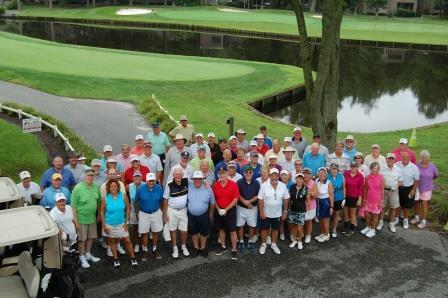 Over 30 Ocean Pines Golf Club members spent the morning as an ad hoc maintenance crew at “Divot Day” on Monday, Aug. 21. The members, organized by Ocean Pines Men’s Golf Association President Don McMullen, helped to fill divots on the course’s tee boxes and fairways. 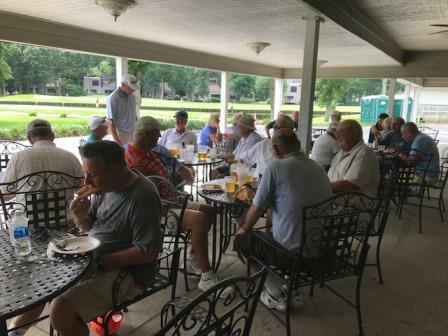 After the event, they enjoyed pizza and beer on the clubhouse patio. Take to the links this fall and try your hand at golf. Ocean Pines Golf Club will hold four-week golf clinics for women and juniors beginning this September. PGA Director of Golf John Malinowski and golf course professional staff will provide instruction. Children can benefit from a clinic for juniors that will be held on Saturdays from 9-9:45 a.m. or 10-10:45 a.m. starting Sept. 9. Designed for boys and girls ages 5-14, the clinic will provide instruction in swinging, chipping, putting, driving and bunker shots. All skill levels are welcome, and equipment will be provided. Ocean Pines Golf Club’s junior golf clinics are a fun, affordable way to enjoy the sport. The cost is $40 per person. Two golf clinics for women will also be offered this fall. A clinic for intermediate golfers and those wanting to brush up on their skills will be held on Thursdays from 10-10:45 a.m. or 11-11:45 a.m. beginning Sept. 7. The clinic, which is designed for women ages 18 and up, will cover all aspects of the game including woods, irons, chipping and putting. The cost is $50 per person.